New ‘Wreck-It-Ralph 2’ Image Unites the Disney Princesses in a Royal Reunion!!! Check It Out!!! | Welcome to Moviz Ark! New ‘Wreck-It-Ralph 2’ Image Unites the Disney Princesses in a Royal Reunion!!! Check It Out!!! The internet has been dreaming up a Disney princess shared universe for years, but Disney went ahead and made it a reality (kind of) by staging the ultimate royal reunion in Ralph Breaks the Internet: Wreck-it-Ralph 2. 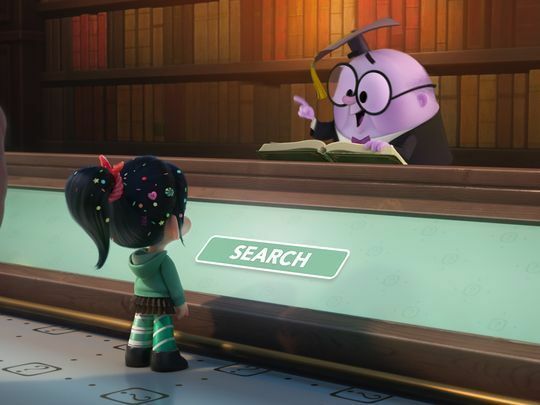 The long-awaited sequel will bring all the Disney princesses together on-screen when Vanellope von Schweetz (Sarah Silverman) wanders into a room full of the animated icons when she joins Ralph (John C. Reilly) on an adventure through the internet. Disney debuted the footage at D23 last year, and stirred up quite the enthusiastic ruccus among those who were lucky enough to be in the audience. Disney recruited the original voice actors to reprise their roles for the sequence, including, Jodi Benson as Ariel (The Little Mermaid), Paige O’Hara as Belle (Beauty and the Beast), Linda Larkin as Jasmine (Aladdin), Ming Na Wen as Mulan (Mulan), Irene Bedard as Pocahontas (Poachontas), Idina Menzel as Elsa (Frozen), Anika Noni Rose as Tiana (The Princess and the Frog), Mandy Moore as Rapunzel (Tangled), Kristen Bell as Anna (Frozen), and Auli’i Cravalho as Moana (Moana). They even got a little Pixar in there with Kelly Macdonald as Merida (Brave). We don’t have a look at the footage just yet (no trace of the princesses in the last trailer), but Disney UK has revealed the first-look image from the princess sequence. Additionally, USA Today has debuted two new images from the film. The sequel sees the return of director Rich Moore, who co-directed the smash hit Zootopia in between Wreck-It Ralph movies, alongside co-director Phil Johnston. Wreck-it-Ralph 2 also finds Fix-It Felix (Jack McBrayer) and Sergeant Calhoun (Jane Lynch) adventuring into the digital age. 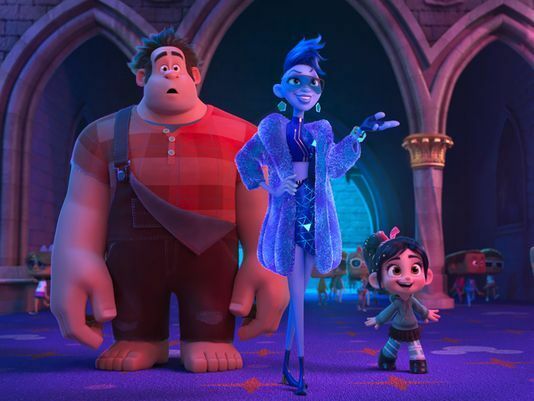 Ralph Breaks the Internet: Wreck-It-Ralph 2 arrives in theaters on November 21, 2018. Check out the new images below. ← ‘Our Cartoon President’: New Trailer Confirms Release Date for New Episodes!!! Check It Out! !